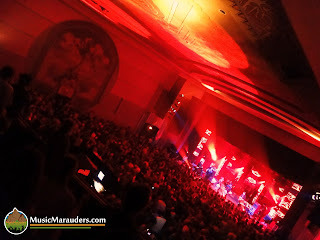 The Motet: Two Nights in Colorado "It's Just Business"
What follows is the perspective of a spoiled fan located in the heart of Motet country, who has been seeing the band non-stop for over a year, through love, admiration, respect, amazement, friendship and multiple perspectives. The band has been selling out venues on the Front Range consistently and on the brink of national touring, following a handful of sold out west coast dates, the Motet returned to Colorado before heading east. The day would mark the "high" holy holiday of 4.20 and who better to celebrate with than The Motet? The show sold out early in the day triggering a frenzy among fans who had been locked out. Pictures began to surface on Facebook of the evening's light rig, teasing the imagination of both those attending and those who were not. Many looked forward to a Motet original show, interlaced with some anticipated covers. 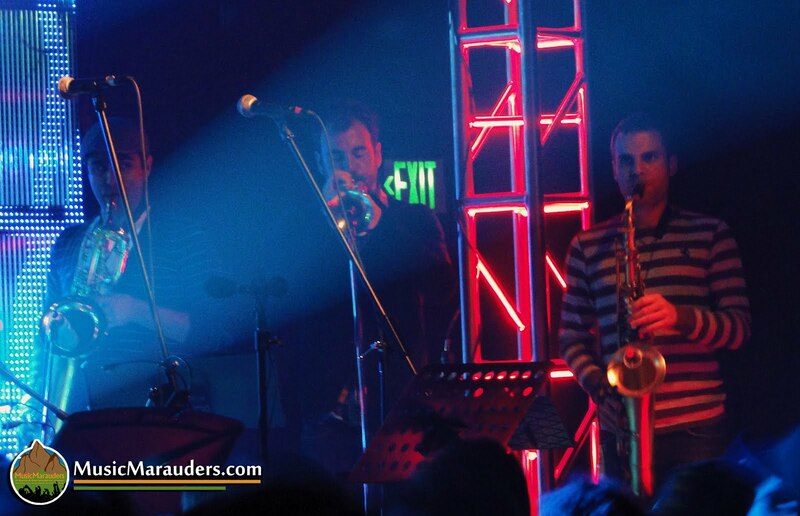 The Motet rarely does shows featuring their own material and have become more of a funkified cover band of sorts. It seems both monetarily and demand-wise, covers are what have elevated the following and exposure of The Motet. The door opener as of late would be the band's "Funk is Dead" featuring the music of the scene's most coveted bands, The Grateful Dead. It seemed an odd choice, as many of the band's members were either unfamiliar with Dead music, or were not fans. As far as meeting the demand and utilizing the popularity of any band, the Dead was a wise choice. The following evening's show in Boulder would feature that material, but on Friday night it was all about the original compositions. Cervantes was packed, as is always the case with Motet shows. It seems that every time The Motet plays Cervantes, they bring in different light rigs and aesthetics. That evening we were treated to LED panels and some unique visual patters. The original material seemed more danceable and less composed than some of the themed sets. 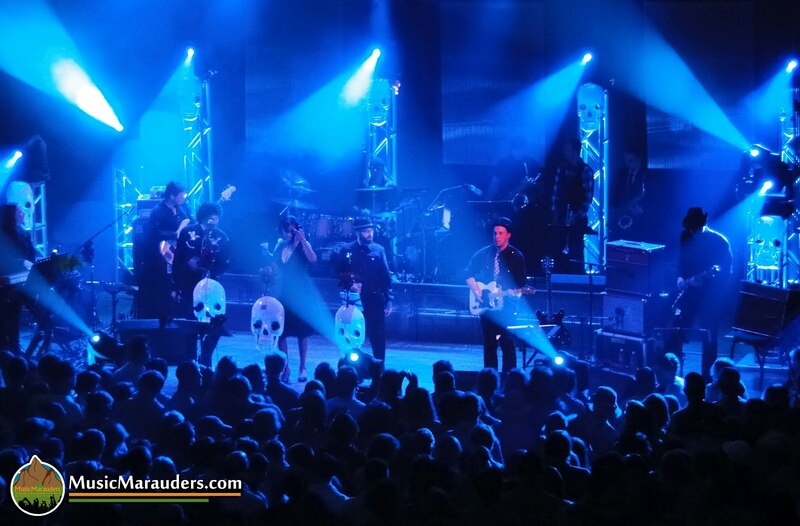 Through impressive instrumentation and the constant passing of solos, the band impressed the Denver crowd. The music, though energetic, seemed somewhat hollow as if it were missing something. Maybe it was just the volume of shows that this fan had seen, but it felt lite. The instrumentation was still strong, but the band seemed to be going through the motions. On the other side of that notion, The band was clearly doing something right, as Cervantes was packed and folks were going crazy. Without a doubt, that night Cervantes was the place to be. 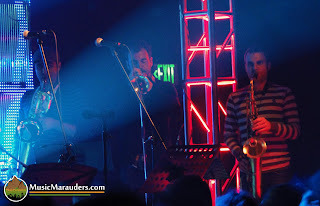 Knowing that we would see The Motet the following night, we exited the sweltering venue to save some of our energy. Was I being overly critical or was this a matter of a fan getting burnt out on one of his favorites? Excitement was in the air at The Boulder Theater, as the town was buzzing for the evening's sold out "Funk is Dead" show. For many, the evening would mark another tally on the already high ratio of "Funk is Dead" shows as of late. Would they explore new Dead material? Or would they play the same sets that they had been playing since the previous Halloween? The Motet Live at Boulder Theater on April 21, 2012. As the first set unfolded, it became clear that the band was sticking to the material that they had previously done... over and over. I began to wonder what the strategy was in playing the same Dead sets repeatedly in the same region. Especially in a region with the most loyal fans within' their following. 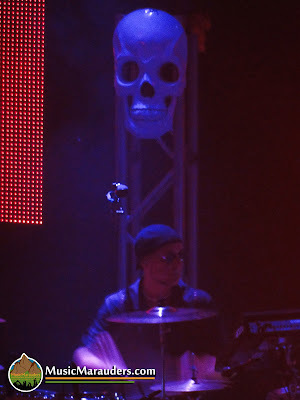 While discussing the "Funk is Dead" material with fans, many indicated that they were tired of hearing the same covers and for many, that night would mark the third or fourth Dead themed show in as many months. For others who hadn't yet caught the material, that night would be a treat. Predictably, The Motet performed the majority of the fan favorites. 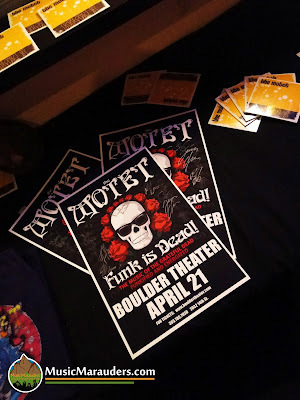 In relation to the other Dead shows that The Motet had performed, that night in Boulder seemed loose and noodley. The bright horn section made up for some hit or miss vocal contributions. The audience helped to contribute by singing some of their favorite lines. Most impressive that night was the guitar work of Ryan Jalbert and Dan Schwindt. The two guitarists traded licks and wailed collectively. 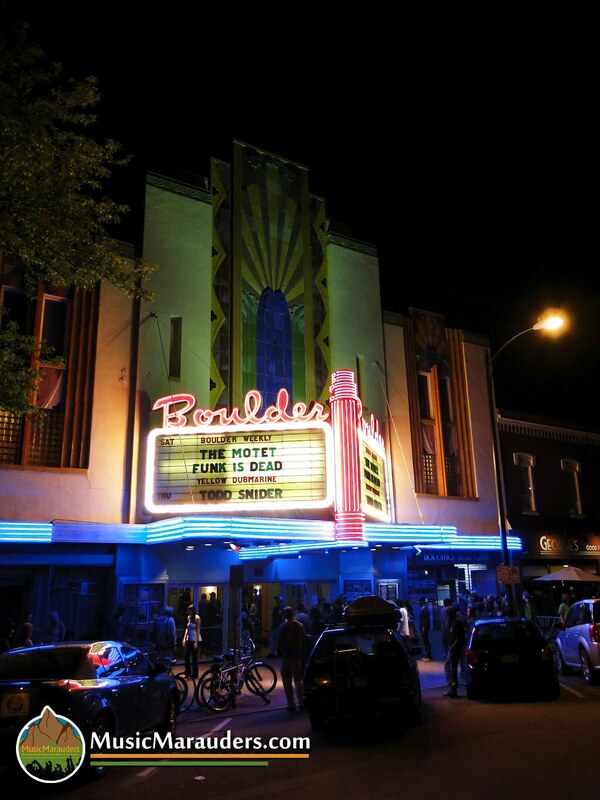 The Boulder Theater was packed and we made the decision to step outside for some fresh air. As we walked, we spoke of how we had seen this show a handful of times recently and concluded that maybe we would just head home for the night. 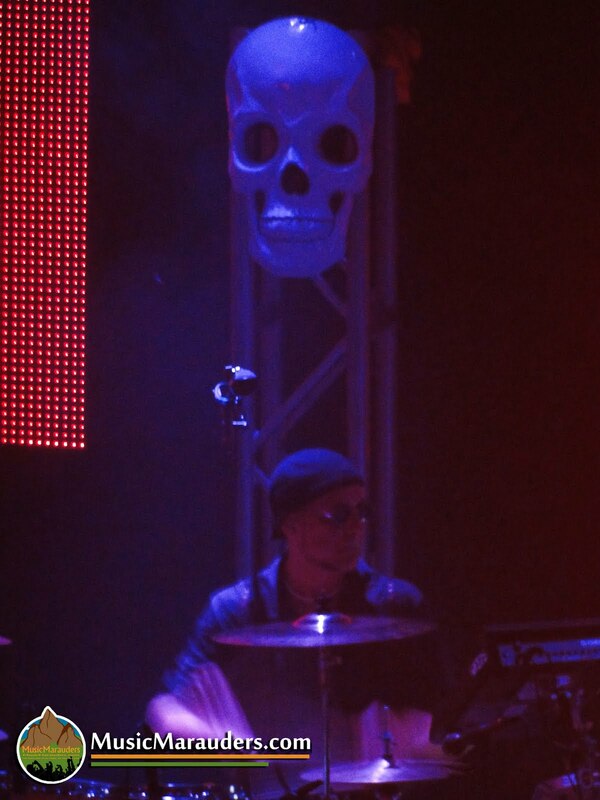 We knew what would follow on the setlist and presumably, we would see "Funk is Dead" again. That's the kind of feeling a fan doesn't want to feel. It bordered on boredom. Maybe it was my fault for seeing the band so consistently in such a small amount of time. But isn't that what a fan is supposed to do? Was I spoiled by the previously consistent ability of the band to always impress? Was that night in Boulder just a "warm-up" for the road dates? Reflection set in on the growing success of The Motet. Recent personnel shifts and changes within' the band have reflected the direction and intention of Dave Watts in elevating his project. People have always asked about why the Motet doesn't turn it up and tour more. This may be the answer to their pleading as Dave seems intent on spreading "Funk is Dead" around the country. 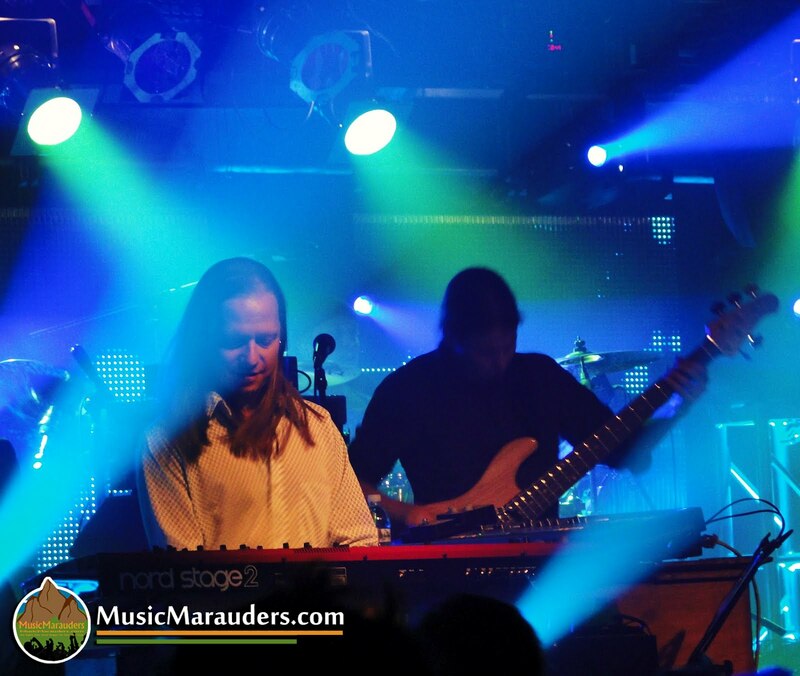 If you're a fan of Dead music and haven't seen The Motet's "Funk is Dead," it is imperative that you not miss these shows! The compositions are bright, funky and true to the melodies and licks that you love. The material has become a catalyst for national growth.